The S 205 door of the Camilla line is made of textured grey (Ral 7032) in M.S. steel with double wall, and internally, on the door, numerous connection reinforcements. Concrete conglomerate on the whole surface of the door and the frame, already included or to be made on site when the door is assembled. It has an anti-segregation device for opening from the inside. Closing system: triple expansion closing, operating 5 horizontal bolts diam. 32 plus 1 upper and 1 lower. 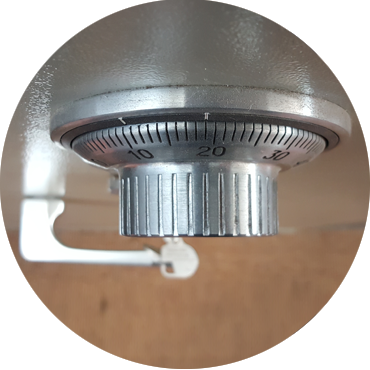 The system is operated by a frictioned handle which, in case of forcing beyond certain limits, slips avoiding to damage the system itself. Lock: 8-lever female key lock, with non-removable key with open door. Mechanical combination with 3 coaxial disks, forming 1 million combinations (or on request electronic combination). The two locks, with a double indirect system, work independently of one another. 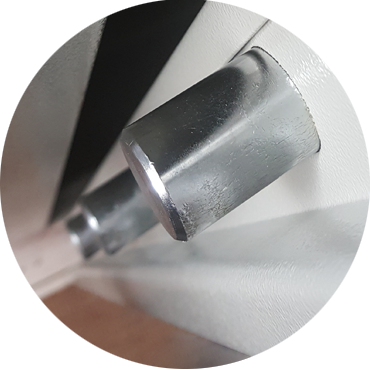 The hinges positioned externally on the right side of the door, appropriately sized, have the sole function of rotating the door, while the safety of the door on the hinge side is ensured by a tear-resistant interlocking profile that joins the door with the right side. 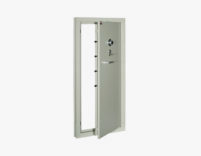 Protections: Manganese steel extended to the entire surface of the door, manganese steel plate to protect the closing devices and further manganese plates to protect the locks. 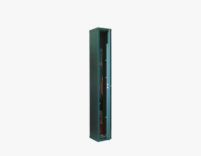 The mechanical combination combined with the key increases exponentially the inaccessibility to the cabinet. 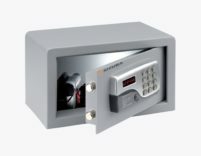 The movement controlled by the key is supported by the infinite possible combinations of the digital keypad. 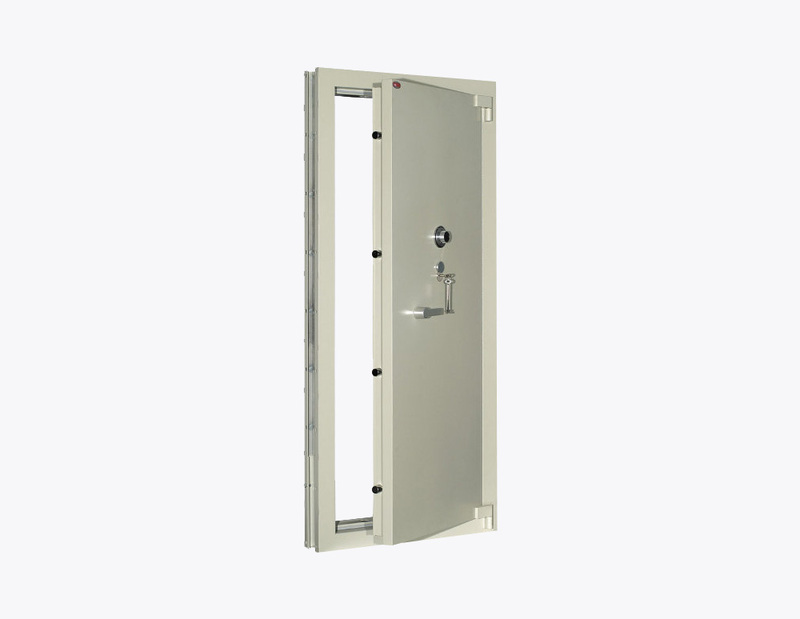 Security door The S line of the Sabina line is made of grey peel (Ral 7032) in 3 mm thick sheet steel, with internal hinges positioned on the right side of the door allowing a 140 ° opening. 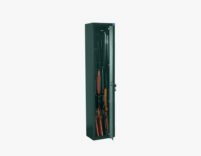 Armored door for Caveau For greater security of the SPC door we recommend the installation in reinforced concrete wall. 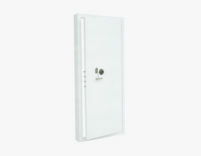 On request, the door can be equipped with a lateral and upper cover, avoiding interventions on the walls.